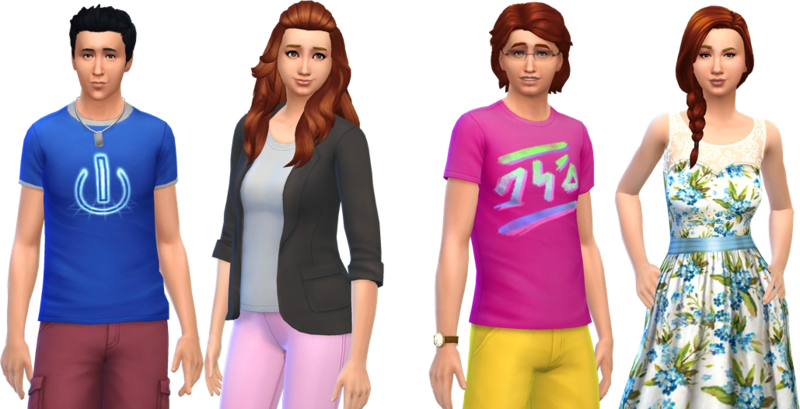 What I love the most about playing TS4 is genetics, seeing similarities in generations. 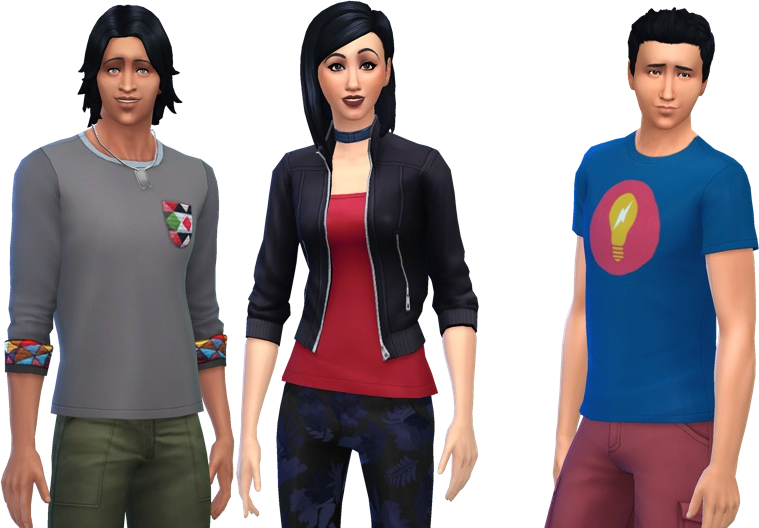 So show your sims with their parents, grandparents, your entire family tree! 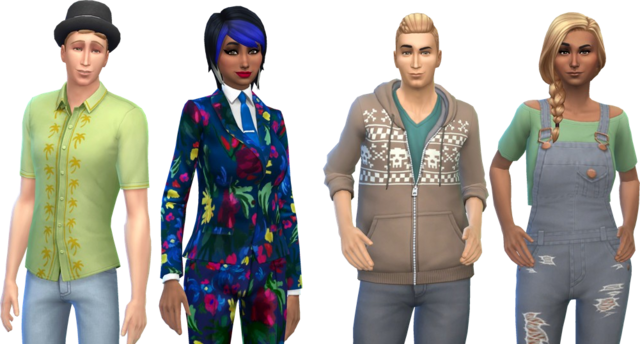 Here are a bunch of my sims, parents to the left and their kids to the right in each image. 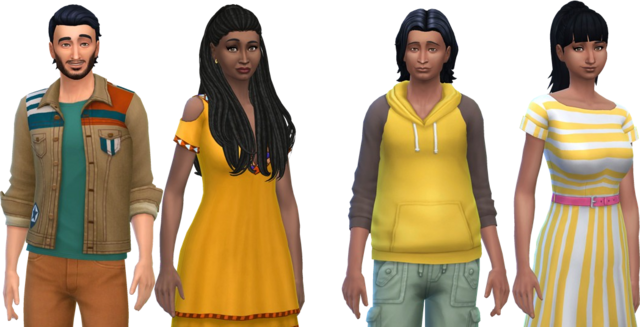 I like the way you've laid out your sims, some very interesting genetics there I'll share some of mine too (I'll put a parent on either side and the kids in the middle as I've seen other people do before). 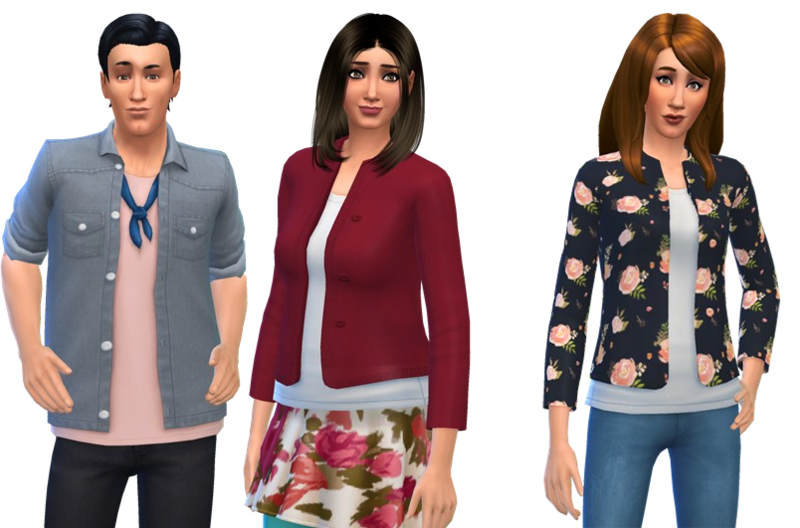 Currently my next generation are mostly toddlers but perhaps I'll come back and update when they become adults? 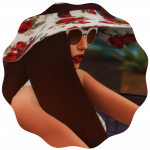 It's interesting to see how you also have Lothario in your bloodline, I think your sim Savannah has some facial features in common with some of the sims from my Lothario tree. Don's genes are holding out! Okay, this may take a while and won't necessarily be right straight off the bat. Isaiah Rocca who married Siya Srivastava. This is where the tree splits. The Rocca side first. Owen, Ashley and Athena Rocca. 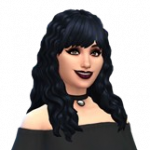 Noelle who married Janessa Lothario and then lived with Toby Goth when she died. Erica who married Andrés Durán, which leads to the last split. There have been other children, but these are the ones who've carried on the genetics (if they're in order). Talking of strong genetics here are some pics I've taken of Vlad's spawn. Prunella Straud. (Friend of the World - Goofball, Childish, Slob.). Alycia Straud. (Friend of the World - Goofball, Childish, Slob.). Jasper Straud. (Computer Whiz- Insider, Hot Headed, Goofball.). Jaimie Straud. (Fabulously Wealthy - Cheerful, Goofball, Hot Headed.). There were more but I only got screenshots of these 4. Prunella married one of the Rocca's and had a son, Hermann. He looked cute as a button as a toddler, but as he aged it was clear Vlad's genes were dominant! @jeepjeepcat I really appreciate you taking the effort to put them all side by side like that ^_^ so nice to see them all in comparison next to their parents and grandparents. I feel you also have a lot of diversity in your bloodline whereas in my family the first 4-ish generations have all looked similar! 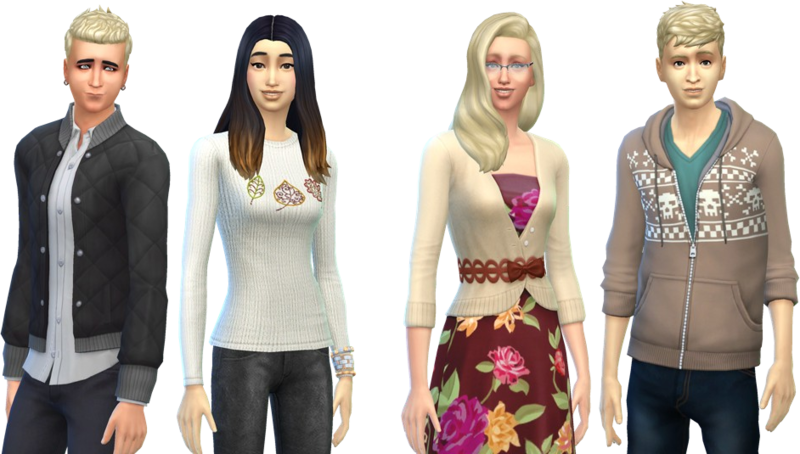 Some more pre-made sim genetics from me. 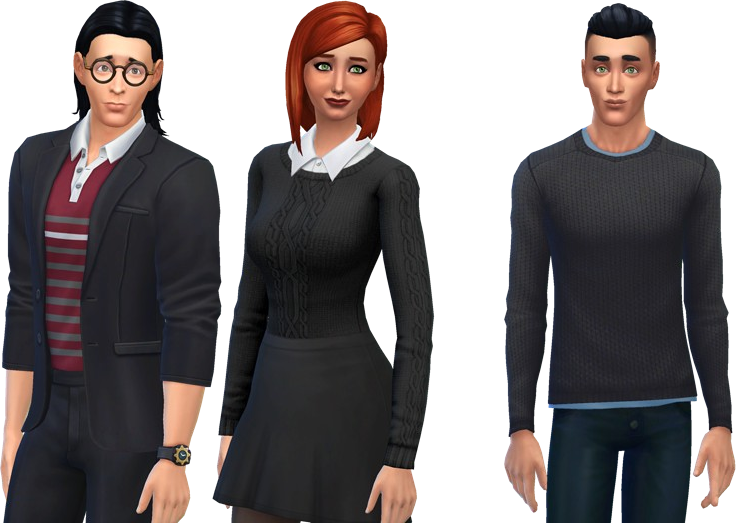 These are the goths in my game, I'll update later when the next generation is all grown up. 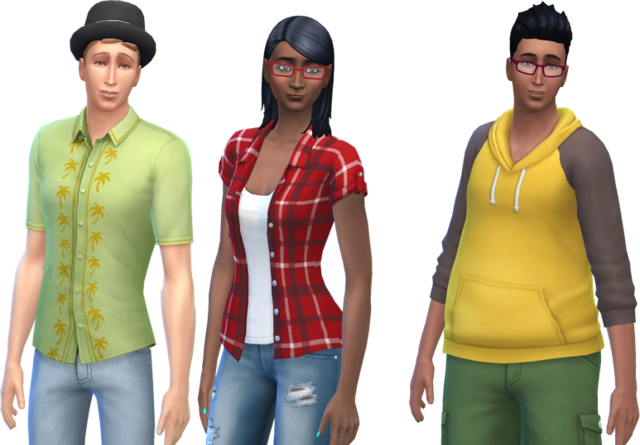 @jeepjeepcat So many sims! Looking at your family tree you're on what, generation 8? Congrats on getting that far! 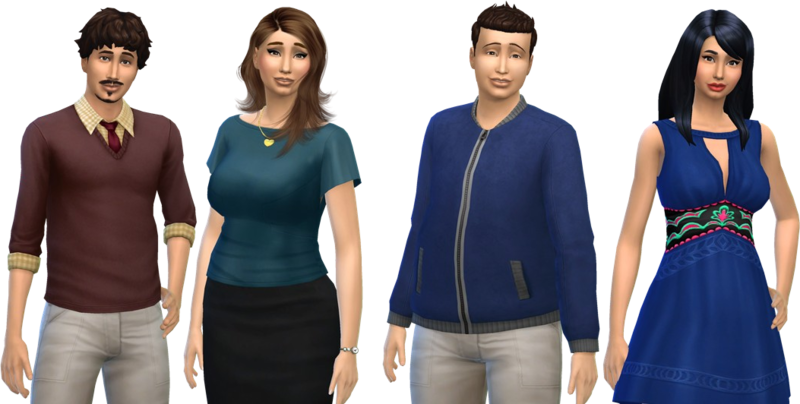 Also, Vlad seems to have... interesting looking offspring. No doubt that he's definitely the father haha. A few more odd ones from me just because I love making these comparisons. Jean and Karissa Mims and their twins Dex and Tanvi. Javier Koch and Juniper Spencer-Kim-Lewis and their sons Tobias and Thomas. Stephan and Natasha Crouse and their twins Demario and Jasper. Demario and his first wife Michaela and their twins Braylen and Macie. Demario and his second wife Estrella Ngo and their son Allan. Jasper Crouse and his wife Annika Dennis with their daughters Gabriela and Danika. 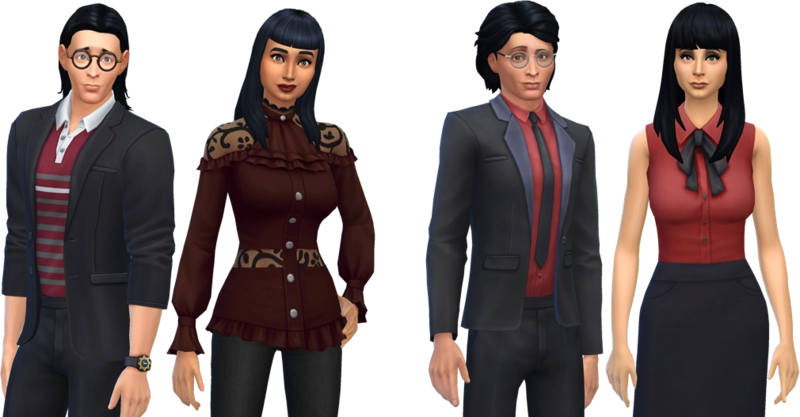 How are your Alexander Goth sims so decent looking? mine always turn out much like their dad! @jeepjeepcat I think the twins got lucky with the genes from their mom Melody. Gunther on the other hand I feel wasn't all that lucky with his face. Robert May and Vivian Hoff and their daughter Cristina. Wow, she does look like her mother! 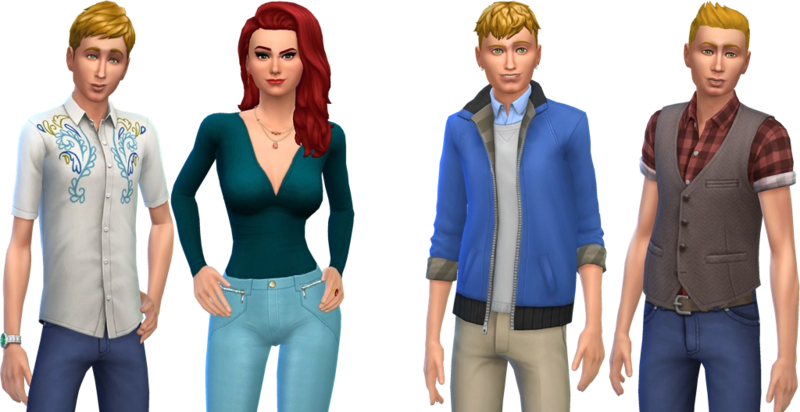 Love this thread and seeing everyone's sims! 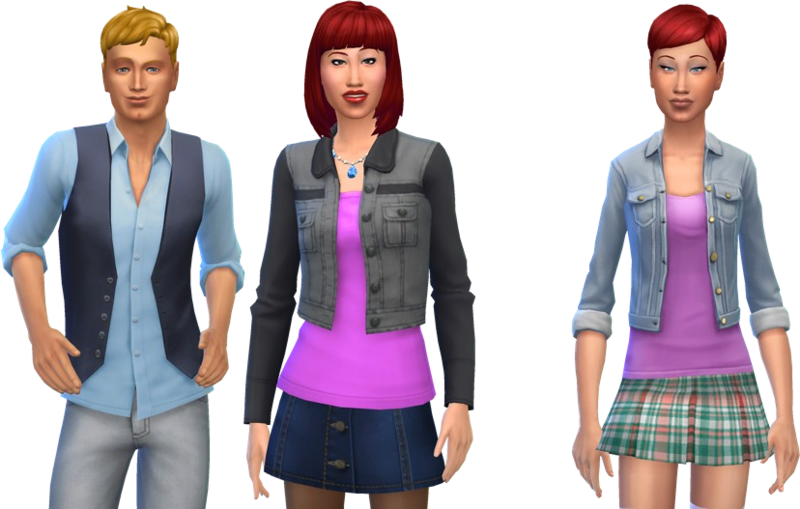 Starting with my current played sims Victor and Annie and their twins Daniel and Diane. 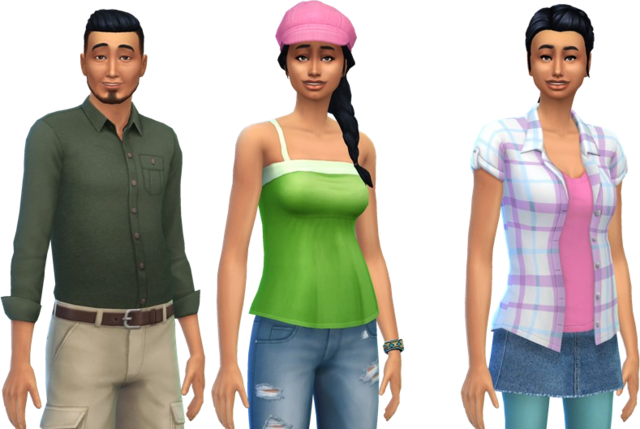 Then the Brumfields, Terrence and Madalyn and their son Bryant and daughter Skylar. 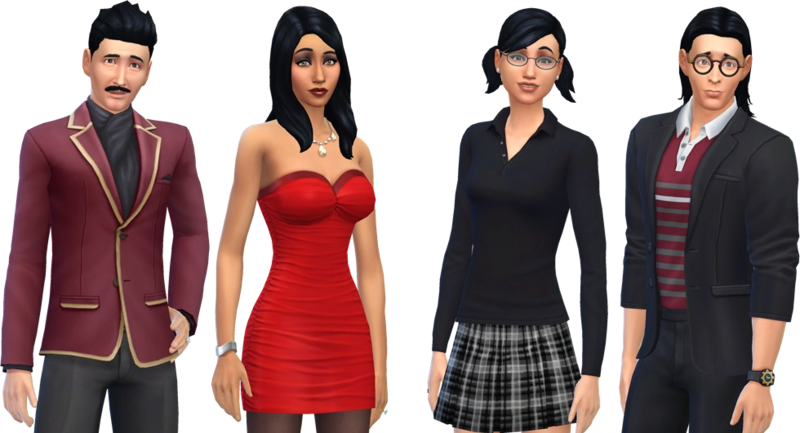 These were the neighbors to my played sims and they were terrible. 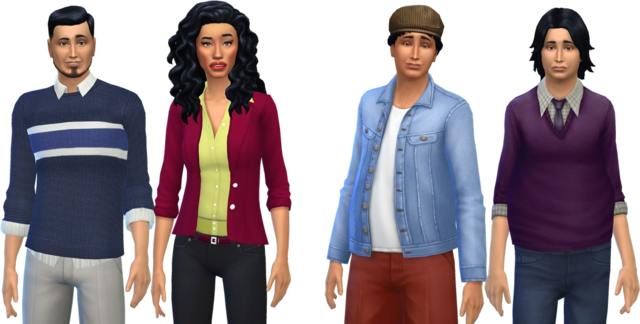 Terrence and Madalyn kept making noise, Bryant is a glutton and only came to visit to eat food and then Skylar was the worst, making a mess everywhere and destroying my sims' school projects. Ullal and Brooke and their kids Marcos and Maureen. 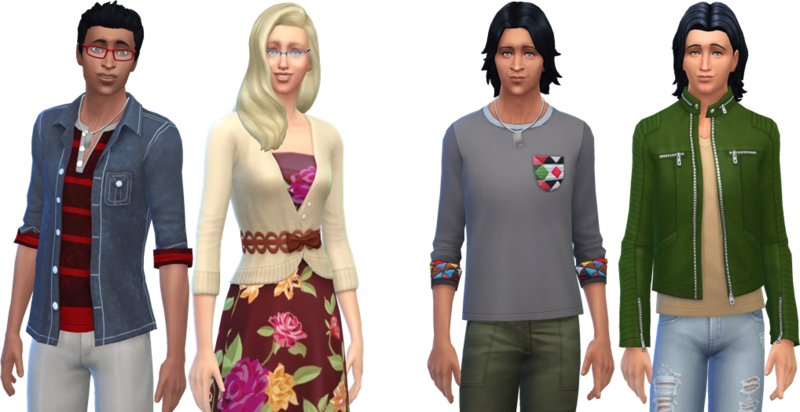 Emory and Thalia and their daughter Nicola and son Hendrick. 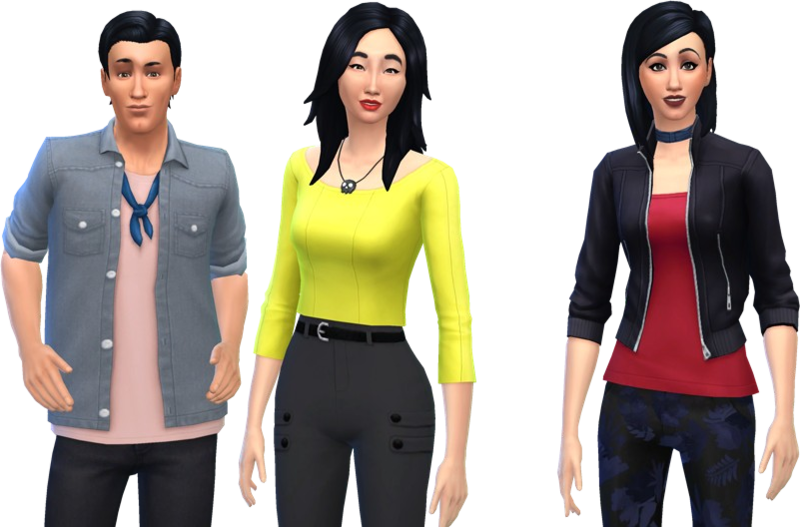 These siblings couldn't look more different from each other! 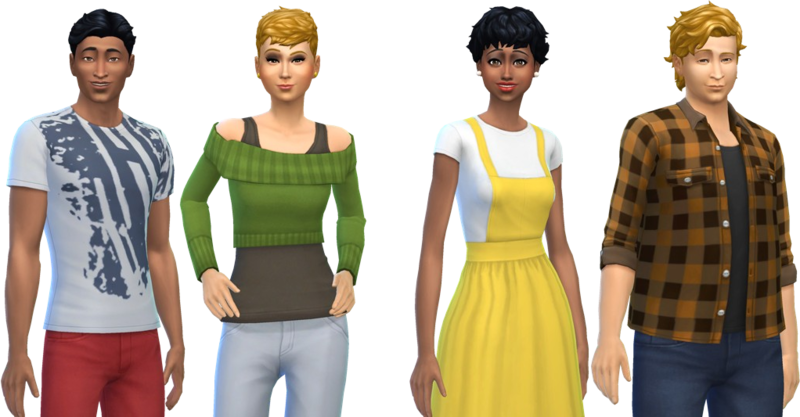 Bryson and Billie and their daughter Allison and identical twins Monica and Elaine. 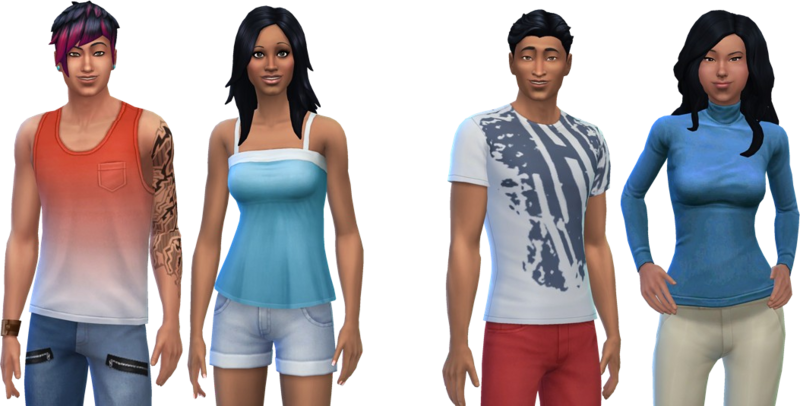 Javie and Leanna and their sons Terrance and Marcel and daughter Selina. 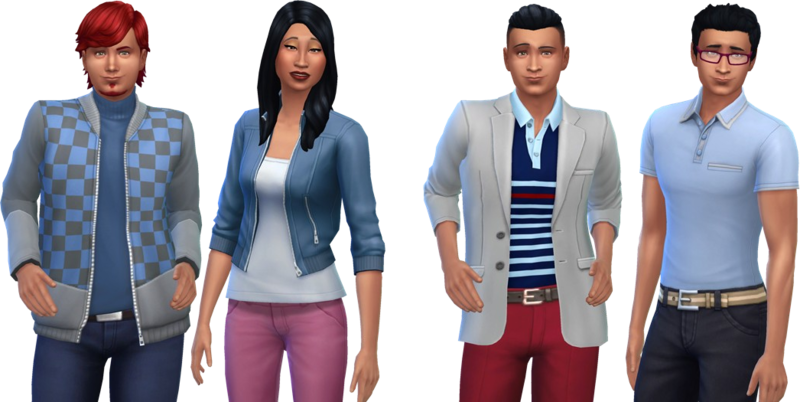 Marcel and Selina are twins even though Terrance and Marcel look the most alike. 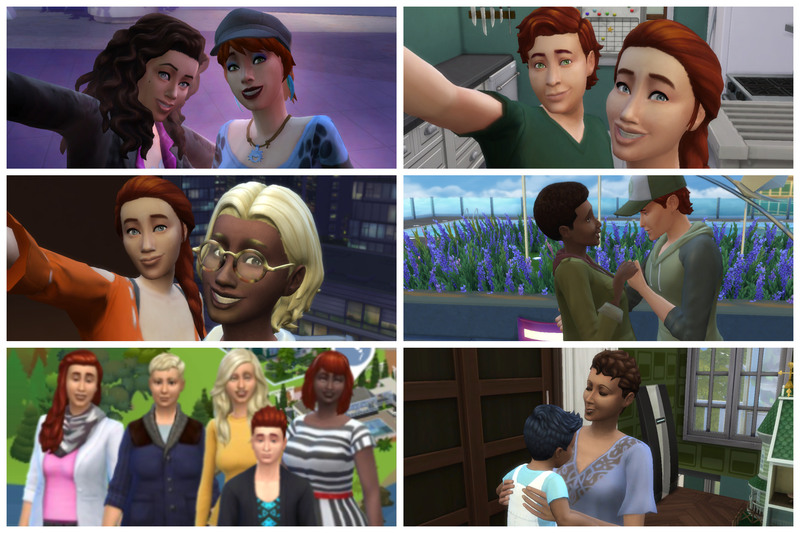 Gregory and Leticia and their daughter Kari and son Zayden. So glad this thread's still kicking, I really want to post my gen 4 as adults but I've been playing so slowly that it feels like I'll never get there. They are children now though and the oldest ones are just starting to age into teens so at least time is moving even if it's slow. @samemie I'm looking forward to seeing your next generation. Wish there were a bit more people posting in this thread but oh well ^_^ maybe later. Meanwhile I'll just keep posting mine! That's true. It's a shame, but I think it would have done better in the general discussion section. I know that's where it originally was and I do understand why it was moved but equally I don't think this really fits into modelling either. Hey ho, such is life. 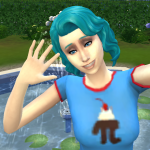 And hey even if there is just a handful of us posting every week or two it's still fun to see other people's sims. @samemie I didn't even notice that it was moved! Oh well.. I agree we can see each others families every once in a while which is fun too. 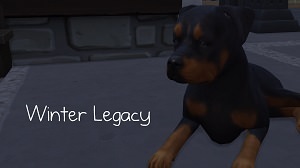 ^_^ I feel this thread works well for anyone playing legacy and keeping track of family trees anyway. Here's hoping more people will join in. I'm so nearly done with gen 4 but not quite yet, will be another 2-3 weeks (well, I only need a few days but there's a lot of chaos in my house at the moment so there's no time to sit down and play), so I just wanted to give this thread a little bump so that it stays current. Anyone else got any more sims to share? My current family tree is HUGE, lol. And I've never made those cool little all in one sets before! And I'm not good at taking good pics like you guys, but I'll give this a shot! I'll leave it there, maybe come back later to do the other generations. Sorry for plum pics and layout. 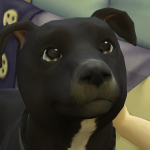 This is certainly motivating me to take more portrait pictures in CAS!